Did we mention we went to the state fair? Well, we did! 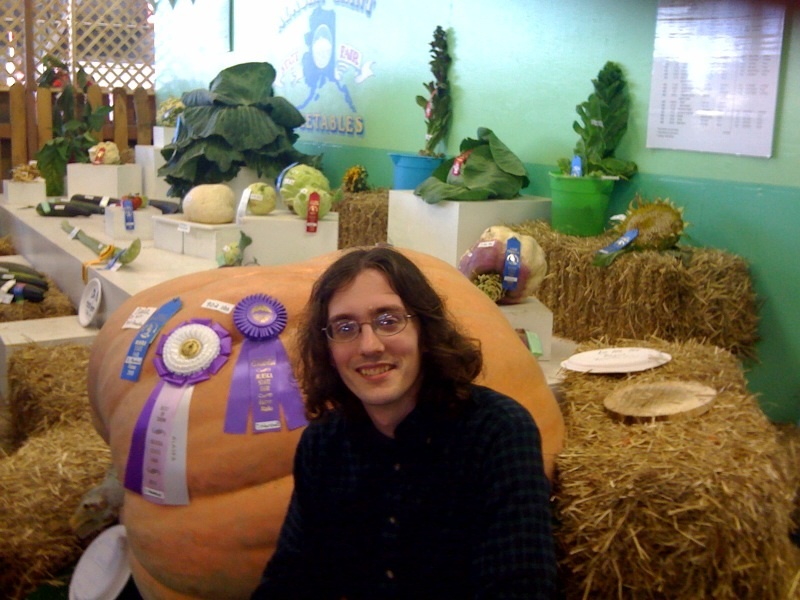 Check out that 900 pound pumpkin! There were also goats at a petting zoo! And chickens! And a reptile show and the Bird Man of Las Vegas!! And a million different kinds of food. … All very exciting and totally worth the $10 admission. We didn’t go see Kenny Rogers, though. « Almost a year! Also, a prize!